When it happened, Alex was in a lot of pain. That wound had to be bandaged and re-bandaged. It took days for the initial wound to close up, keeping out infection. But it did close up. And it continued to heal. So it is with wounds. Some wounds take longer to heal than others. But if treated properly, they do indeed heal up. And there are sometimes scars. Some people try to hide their scars or have them removed… which is odd to me because it sometimes involves creating more wounds to cover up the old ones. Some people bear their scars as a mark of honor. They want people to know they’ve been wounded and survived. I simply look at scars as reminders that there was once a hurt… an injury… a wound there. And now it is healed. Or at least healing. Some wounds are so deep and hurt so very badly that- when we first incur them- we wonder if they will ever heal. Even as we bandage them, we grimace. Days go by and the pain is still there. Weeks go by and we remember the injury very clearly when we bump it on something. But over time, wounds heal. 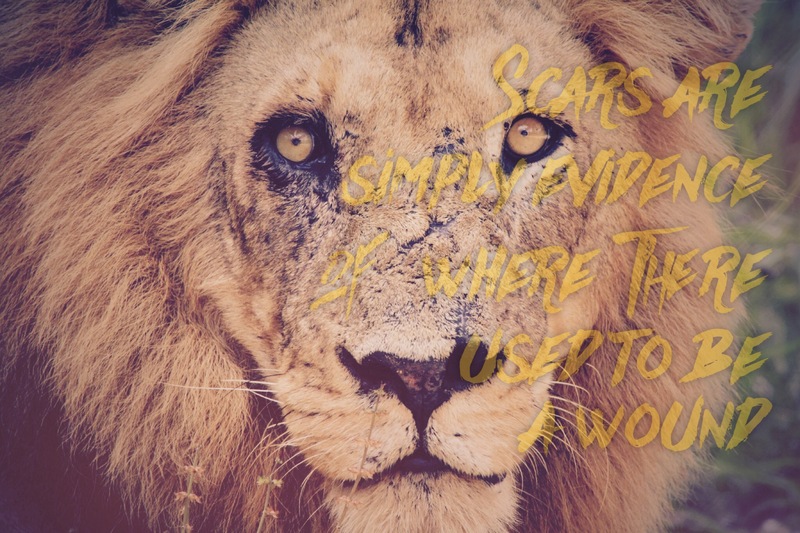 Scars develop. And we cannot recall with as much clarity the full sensation of pain we experienced. We remember that it happened. We know that it hurt. We recall the days of tenderly nursing it. But we don’t fully feel the pain we did at the time. For the record, Christ has scars, too. Scripture tells us that He endured the pain of the cross for the joy that was set before Him… making sure you and I have the opportunity to be a part of God’s family forever. His scars show that He, too, was wounded. But His healed also and serve as reminders that the pain will go away. It will fade and you will be able to enjoy life again. Next Post: You Can Make It!